February 5, 2018 at 11:03a.m. Judge Janice Cunningham sentenced Nassar on Monday to between 40 and 125 years in prison. The case focused on sexual assaults at Twistars, a gym for elite gymnasts in Eaton County, Michigan. 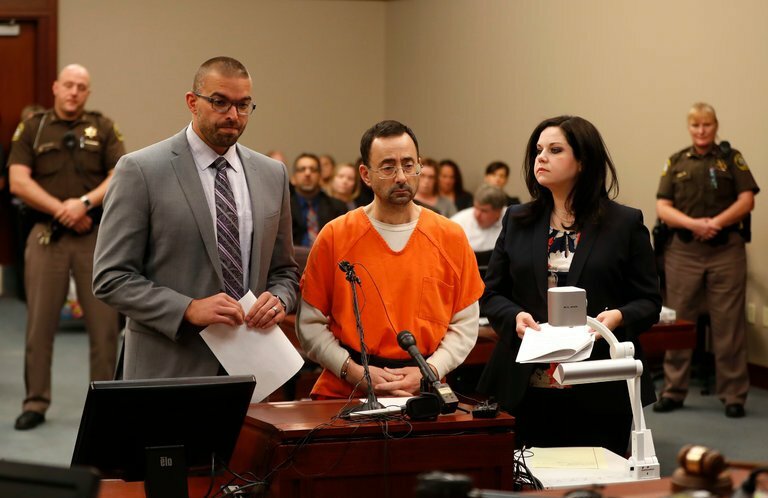 But more than 260 women and girls say Nassar sexually abused them under the guise of medical treatment while he worked with Twistars, Michigan State University and USA Gymnastics. Some victims say the abuse occurred decades ago. January 31, 2018 11:25 a.m.
February 2, 2018 1:34 p.m.